Primary research interests include the epidemiology and pathogenesis of HIV/AIDS, evaluating the effectiveness of antiretroviral therapy in observational studies, and the effects of HIV infection and treatment on women's reproductive health. Dr. Golub is Principal Investigator of the data management and analysis center for the Women's Interagency HIV Study (WIHS), the largest ongoing prospective cohort study of HIV among women in the U.S. She previously served as Director of the Epidemiology/Biostatistics Core for a NIH-funded program project to study HIV susceptibility and pathogenesis in the female genital tract, as well as co-investigator for the Center for the Analysis and Management of the Multicenter AIDS Cohort Study (MACS), a nationwide cohort study of HIV-infected and uninfected men, and with the Epidemiology/Biostatistics Core for the North American AIDS Cohort Collaboration of Research and Design (NA-ACCORD). 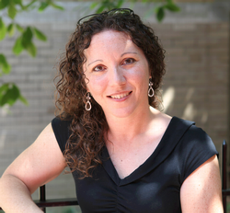 In addition to her research endeavors, Dr. Golub teaches Epidemiologic Inference in Public Health II, in both a blended on-site and online format. She also teaches an introductory-level Epidemiology course through the JHU School of Arts and Sciences. She holds a Master of Education degree from Johns Hopkins, and is Director of the school's Online Programs for Applied Learning (OPAL). In addition, she serves as a member of both the school's Committee on Academic Standards and the Center for Teaching and Learning Advisory Board. Miranda AE, Pinto VM, Szwarcwald CL, Golub ET. Prevalence and correlates of preterm labor among young parturient women attending public hospitals in Brazil. Rev Panam Salud Publica. 2012;32(5):330–4. Keating SM, Golub ET, Nowicki M, Young M, Anastos K, Crystal H, Cohen MH, Zhang J, Greenblatt RM, Desai S, Wu S, Landay AL, Gange SJ, Norris PJ; and the Women’s Interagency HIV Study. The effect of HIV infection and HAART on inflammatory biomarkers in a population-based cohort of US women. AIDS 2011 Sept 24;25(15):1823-1832. PMC3314300.